This family of bend fixtures is designed for 3-point and 4-point bend testing of plastics, metals, ceramics, tubing, and many other materials. 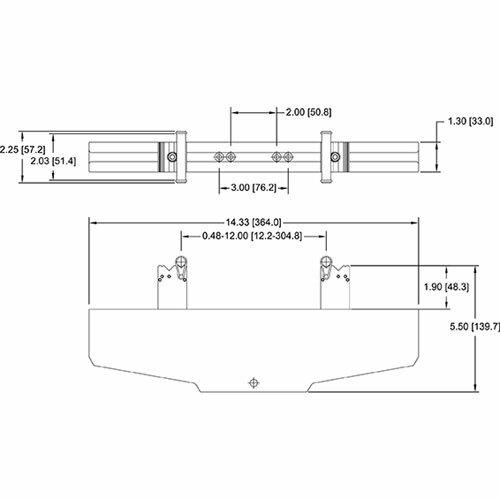 Two base sizes are available, along with an upper anvil, and optional roller diameters. 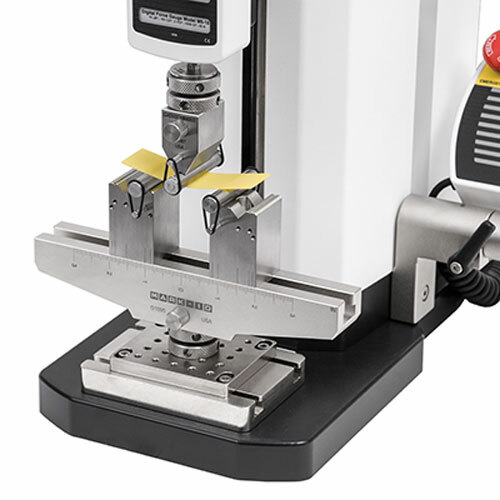 Use a base-anvil combination for 3-point bend testing or two bases for 4-point bend testing. 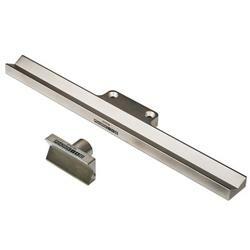 The fixtures conform to ASTM C393, C1161, D790, and related standards. [1.3] 2024 Al 303 SS 416 SS, hardened Screws for test stand mounting, two 10 mm dia. [3.2] 2024 Al 303 SS 416 SS, hardened Screws for test stand mounting, two 10 mm dia. 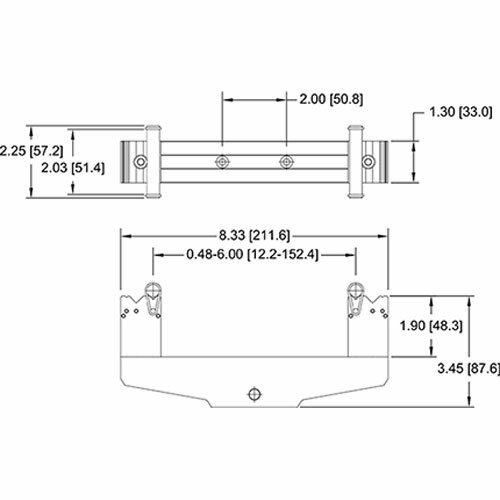 Bases feature movable blocks with multiple V-grooves to accept several roller diameters. 10 mm dia. 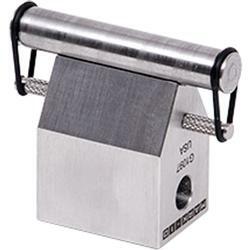 rollers are included, and other sizes are available. 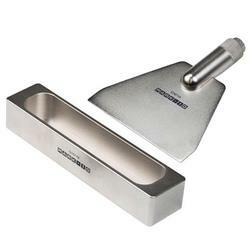 The bases feature engraved rulers, dual-graduated with an inch scale on one side and mm scale on the other. 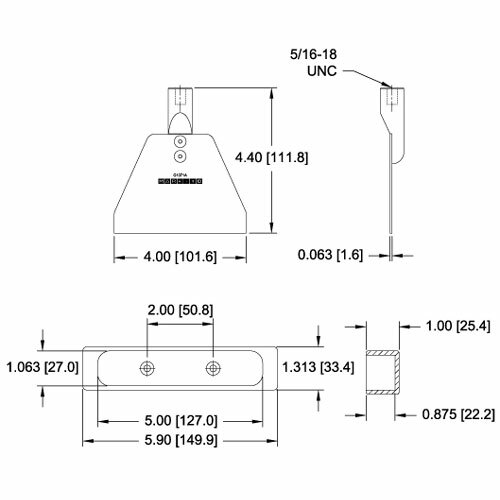 Integrated eye end receptacles facilitate mounting to load cells, force gauges, and test stands. 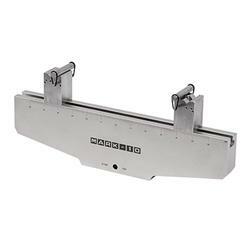 The bases also include thru-holes and mounting screws for direct mounting to certain test stands. 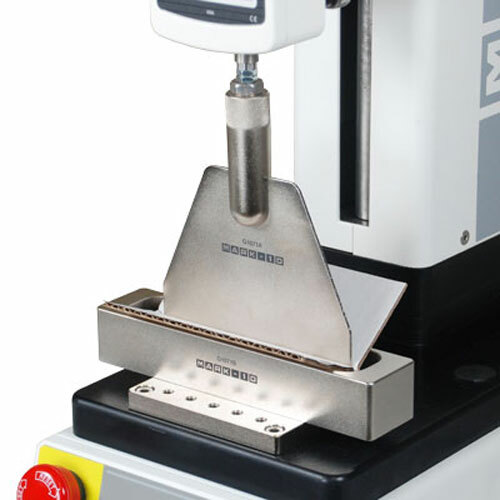 Compatible with the following test stands: ESM303, ESM1500, TSFM500-DC, ES30, TSA750 (with optional loading table), TSC1000, TSF. Recommended for use with a motorized test stand. 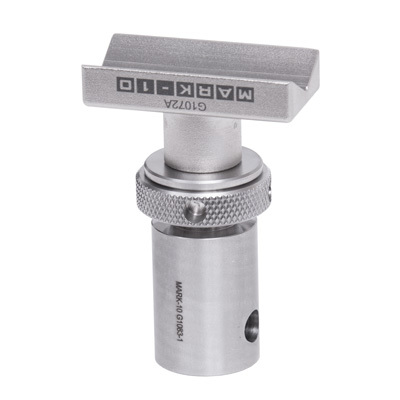 May be used with eye end adapters or mounted to test stands with mounting screws (except anvil - eye end mounting only). 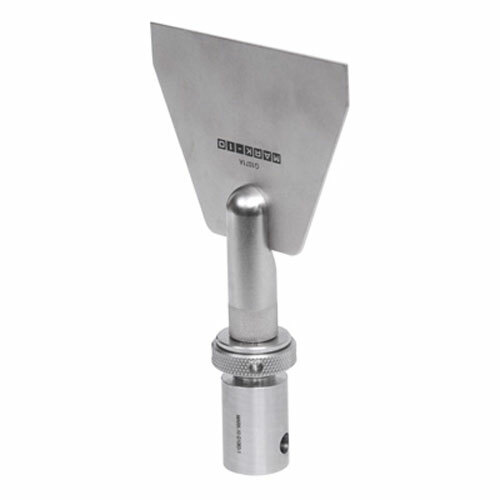 This set of fixtures is used to produce a 90° bend in fiber board materials and plastics. 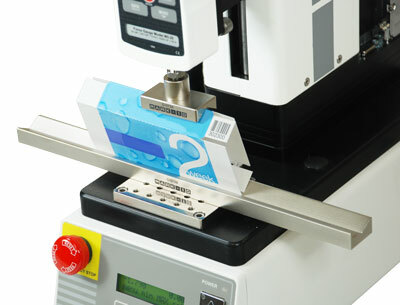 The fixtures are compliant to TAPPI standard T829 for evaluating the relative quality of scores in corrugated containers. 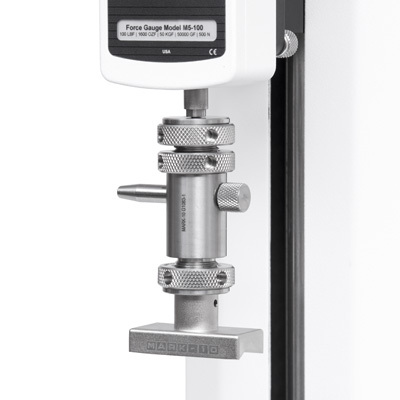 Note: These fixtures are designed for compatibility with a Mark-10 force gauge and test stand. The resulting value displayed on the force gauge will be a force value. The abstract score ratio as called for in T829 is not automatically calculated. 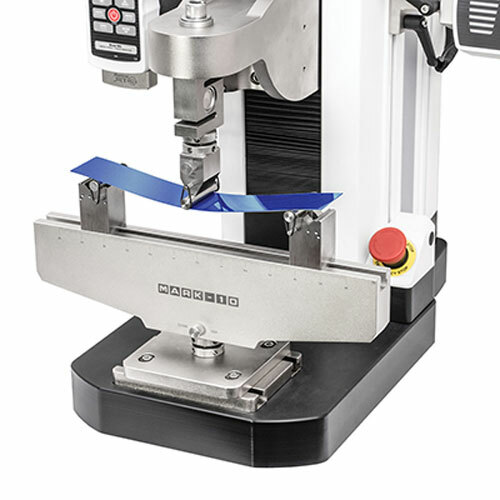 Mounts directly to the following test stands: ESM, ESM303, ES30, TSC1000, TSF, TSFM500, ES10/ES20 (when ordered with optional AC1060 mounting plate). 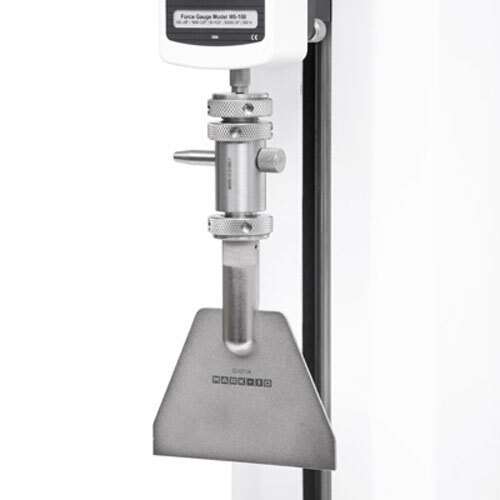 A motorized test stand is required to fufill the test speed requirement of TAPPI T829. 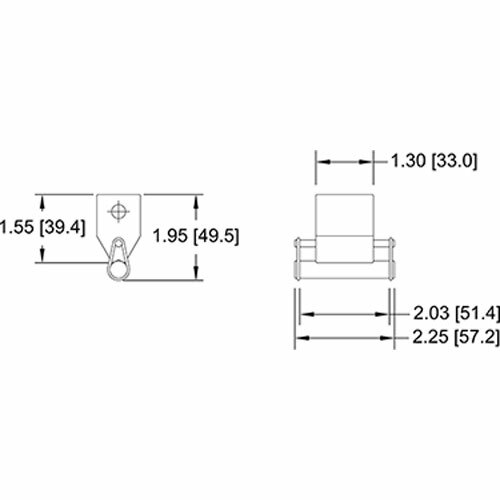 Mounts directly to the following test stands: ESM, ESM303, ES30, TSC1000, TSF, TSFM500, ES10/ES20 (when ordered with optional AC1060 mounting plate). A motorized test stand is recommended.